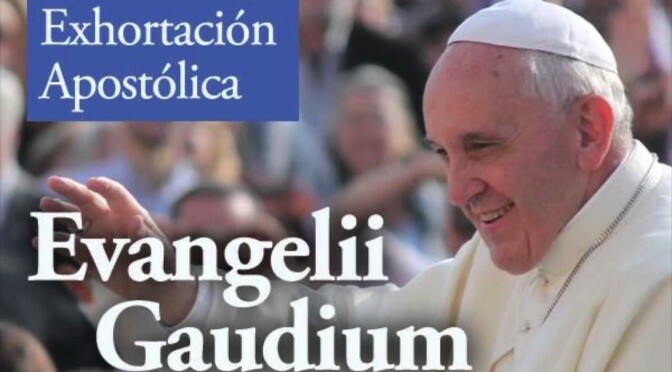 When Pope Francis published his second major magisterial document, the Apostolic Exhortation Evangelii Gaudium, a range of reactions was produced1. These extended from some that praised the critique of so-called “unfettered capitalism”2 and “libertarian economics”3, to others that labelled the Pope a leftist, even a “Marxist”4. Others sought to understand Francis from within his pastoral background and Argentinian experience, and downplayed the references to economic questions5. Francis, obviously, is anything but a Marxist6. Yet it cannot be denied that his posture on some economic questions has tended to upset those that, in European terminology, are called economic liberals. They have expressed that the Pope fails to appreciate the benefits of the market economy, and that his insistence on the poor lends undue support to political programs that undermine entrepreneurship, private property, and economic growth. In this lecture, I wish to go beyond impressions and address a more fundamental question: What exactly is Pope Francis’s message on the economy, and what does it mean for the advocates of economic freedom? Let me first clarify this essential term. When I speak of free markets or economic freedom, I essentially refer to the two principles that may be called the market principle (freedom and respect of contracts, freedom to start a business), and the property principle (recognition and protection of private property). More broadly, economic freedom includes closely related ideals such as low taxation, frugal public spending, the absence of corruption in public office, and monetary stability7. Obviously, by economic freedom I do not mean greed or selfishness, or any other absence of moral constraint. Not everyone who is a free marketer is or needs to be a libertarian. My choice of topic for today’s lecture was motivated by two factors. The first was the impression that the Francis’s thinking and message have been too easily labelled as simply leftist. This has facilitated its exploitation by the political left for objectives that the Pope may not share. It has also promoted an unfortunate estrangement among Catholic conservatives and free-market advocates. I am not so convinced that the Pope really is so “leftist” at all, and I think he deserves at least an attempt of appropriation by the friends of economic freedom. My second motivation is that many free-market economists have dismissed Francis’s message on economic questions as either mistaken or irrelevant. Of course, the Pope is not pretending to be an economist. We would do well, however, to remember Hayek’s famous saying that one can only be a good economists if one also understands history, psychology, politics, and ethics. Economics is ultimately about man, and Francis does have deep and practical insights into how the human condition is enlightened by the Gospel of Christ. If those insights are true, they should also have a bearing on the way in which we think about economic questions and relationships. In what follows, I will proceed in three steps. First, I will outline some key ideas in Francis’s message concerning the economy. Then, I will analyze some critical responses, which I will argue are ultimately insufficient. Third, I will advance a perspective that seeks to find a deeper unity between free-market economics and Francis’s message.